The best ponchos are also some of the most demanded travel accessories. That’s why you’ll find there’s so much buzz around the women and mens rain ponchos out there – it’s a lot more than a piece of waterproof material. And you’ll have to look at a lot more than size and weight when buying one for the first time. Naturally, it must be the kind of poncho that doesn’t tear apart the first time you unpack it. And neither the second, the third, or the tenth time. You want to feel good about yourself when you put it on, otherwise, you’d just go for a plastic waste bag. And, here’s the tricky part, you’ll want to be able to move freely and naturally, without worrying that you’ll get soaked at the wrong move. A Bon Voyage Is a Dry Voyage - Read Our Guide For this Ultimate Rainy-Day Accessory! Here’s our TOP Travel Rain Poncho List! Low and hairy clouds in the skies are the sight that any traveler or outdoor enthusiast should fear most. You may have the I-won’t-let-rain-mess-with-my-plans attitude, but wait until you’ll get drenched by mother nature when you expect less and you’ll change your perspective a little bit. I should know, I’ve been in the position of getting drenched countless times before. 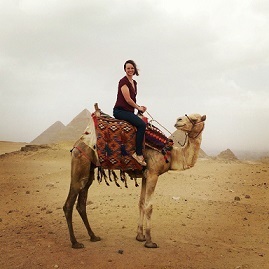 Simple walks in the parks, exciting city tours, sporting events and concerts, hiking and camping – you name it and it happened to me. And you know what’s the funny part? I was actually wearing a so-called durable rain poncho! So, this isn’t about trying to explain to you that a general travel poncho or even a special hiking poncho is a must-have, depending on where you’re heading. Instead, it’s about how to spot the best rain poncho out there, without discovering first-hand that not all waterproof ponchos are… waterproof. Durability - assuming you’re not after a disposable poncho, you must consider how long it will last and how sturdy it feels when you touch it and handle it. Style – despite its practical utility, it is still a clothing article. If you care about how you look, you’ll also care about how your durable rain poncho looks, whether you are a woman who doesn’t need the survivalist/military kind of poncho or a man who is planning to use it for both outdoor activities and city touring. Design – don’t mistake this for the style features, we’re talking about the tiny design elements that will dictate how it falls on your body, how it opens at the neck, how it wraps around your thighs and how it protects your sleeves. All these will make you super happy or completely miserable with your choice. Prepare yourself to ditch the umbrella and get a lightweight, compact and easy to store accessory. Below, you’ll find the details of five of the best ponchos out there and once you go through it and make an informed decision, you’re free to say… Let it rain! The Charles River Pacific Poncho is one of the best ponchos from Charles River Apparel, outwear and sportswear manufacturer with tradition since 1983. Entirely made of New Englander Polyurethane, it gives you the perfect protection against rain and wind, with the irresistible benefit of coming in no less than 15 different colors! You’re about to see a few other women and mens rain ponchos below, but none of them will put so much emphasis on style like this one! The Charles River Pacific Poncho measures 52 x 80 inches and weighs 14.5 oz. Aside from the waterproof material, it comes with heat-sealed seams and adjustable hood with drawstrings. It features snap closures on sides, under the arms, and at the neck. And when you’re not using it, you can tuck it into its matching storage pouch. Stylish design, with a rich color selection, suitable for wearing it in the city as well. Some people would have liked the sleeves to be longer. The Frogg Toggs Poncho, the second best rated waterproof poncho in our top is the most affordable model that we have selected. The main features are relatively the same, meaning waterproof material and seams, adjustable hood and side snaps, plus the dedicated reusable bag. As a significant difference, however, it is available in only 3 colors: Blue, Dark Green, and Khaki. 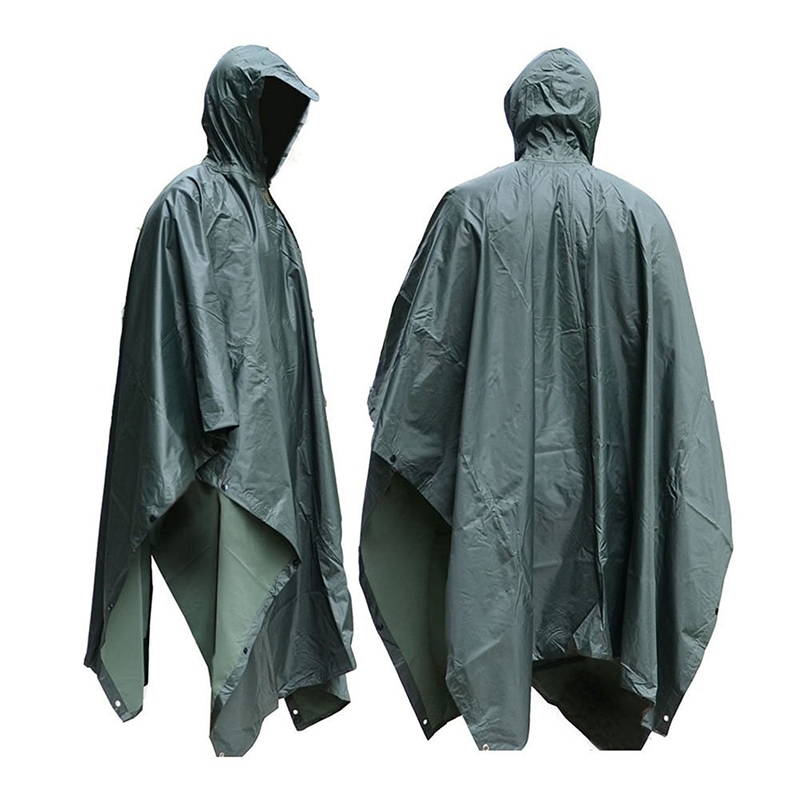 Moreover, the Frogg Toggs Poncho measures 54 x 40 inches. Its nonwoven polypropylene turned it into a surprisingly thin, 8.8 oz travel rain poncho. Lighter than our recommended Charles River Pacific Poncho and the lightest in our top! Keeps the covered parts dry, with its waterproof fabric and seams. There are some durability concerns, given how lightweight it feels. With this JTENG Poncho, we’re heading to a niche that is more related to mens rain ponchos. Whether you’re choosing the Camo, the Green, or the Maple Leaf color, it is suitable for all kinds of outdoor activities where you’re trying to stay under cover. Easy to put on, thanks to the unique zipper neckline, you’ll also find its utility the moment you take it off. The JTENG Poncho measures 59 x 55 inches and, at 30 oz, it is the heaviest outdoor and hiking poncho that we’ll review today – we know, quite a contrast after the 8.8 oz Frogg Toggs Poncho from above... But the generous rip-stop, waterproof polyester from its structure will come in handy for using it as a tarp, sleeping bag, or whatever else you need! Multifunctional, easy to turn into a tarp, an emergency shelter, or even a sleeping bag. Quite heavy for a carry on poncho. Think of the Mil-Tech Poncho as to a great alternative for the JTENG Poncho. You’re looking at the same military style, the waterproof ripstop nylon, and the multi-function design. On the plus side, it is 8 oz lighter but as a downside, it is only available in one color, Olive Green. Anyways, don’t take it as a plain travel poncho because it’s a lot more than that. With the Mil-Tech Poncho measuring 56 x 90 inches, you’ll be getting a 22 oz durable rain poncho, or a sleeping bag, or a shelter, or a ground sheet! The 6 built-in brass eyelets and press-studs will do all the work, you just decide how you want to use it. Multi-functional, ready to use as a ground sheet or shelter as well. Not the lightest model out there. Our fifth recommended best rain poncho is this Snugpak Patrol Poncho, 1 oz lighter than the recommended Charles River Pacific Poncho. Just so it happens, it is also the priciest from what we’ve seen and with two significant design differences – it has sleeves and a Velcro map pocket enclosed with storm flap. 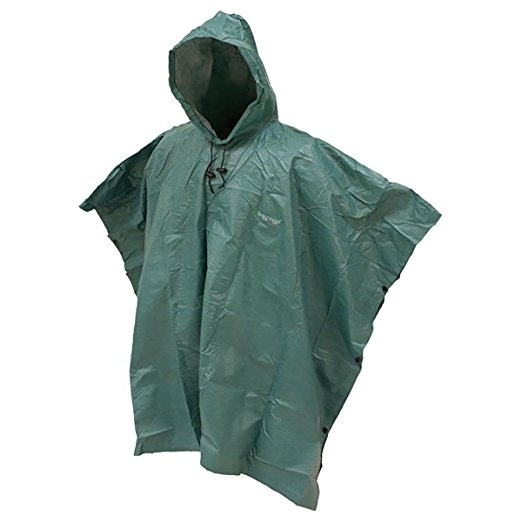 Available in Black or Olive, the Snugpak Patrol Poncho measures 76 x 60 inches and weighs 13.33 oz. It carries the exclusive Paratex Dry material from Snugpack, includes an adjustable hood with thumb loops, and can be used as both a travel poncho or hiking poncho and as an emergency Bivvy. So, do not ignore this last but not least suggestion of ours! Ready to cover you and your bulky backpack. It is somewhat pricey, compared to the alternatives.